Koh Phi Phi weather varies between the high season when it is dry and hot and the low season when it is more humid, there are more clouds and there are months with heavy rain. Thirty years ago the weather was more stable than it is now and so high season can have wind and some rain and the low season monsoon is not as fixed and consistent as it used to be. 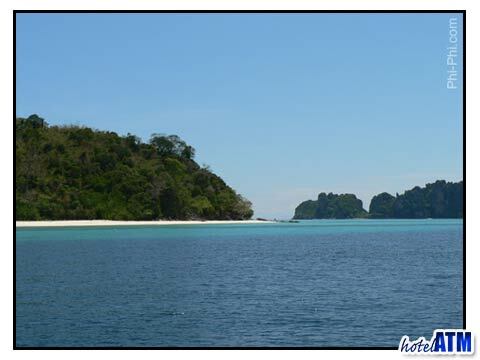 The Koh Phi Phi weather in high season (1 st November till 30th April) is dominated by the dry north easterly wind. The low season weather (1 st of May till 31st October) is dominated by the humid westerlies caused by low pressure in the Bay of Bengal. These wind directions greatly affect temperature, humidity and wind strength for the tourist 'on the ground'. The 2 main weather stories are the June and September monsoons which occur when the sun is over head and the heat from the sun creates huge rain bearing cumulous clouds. During this time thunder and lightning are common. 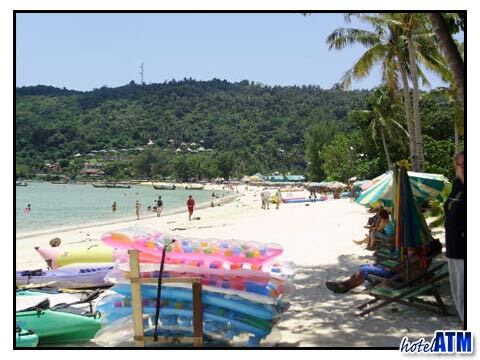 Koh Phi Phi weather high season weather starts in November when the atmosphere has started to move away from the September Monsoon and begins to bring more days dominated by north-easterly wind. The weather pattern can be mixed with some days with westerly winds. There can still be wind and rain but as the days go on the number of hours with rain decreases and the the dry days increase. The Phi Phi weather in December is more of the same improving trend with more good days than cloudy ones. Phi Phi arrives at it's natural coolest temperature during high season at this time as wind from the cooler Asia landmass starts to effect the night temperatures and the wind keeps it cool. It is not until January 15th that the temperature suddenly seems to climb. This is because at about this time the north easterly wind decreases to almost nothing and the 'wind chill' has no effect. Temperatures can increase by about 5-10 degrees in a few days. The heat continues to grow in February, March and April until the convection currents caused by the heat of the land create afternoon clouds caused by convection. The large mountain of Phanom Bencha in Krabi creates huge storm clouds that float over the Andaman Sea and bring rain to Phi Phi in the evening. At about Songkran (13th-15th April), the water festival, these clouds become more settled, setting up days of clear hot mornings but then evening showers. In May Koh Phi Phi weather continues to build on the afternoon and evening rain theme. As the June Monsoon approaches it becomes more cloudy, the wind shifts westerly and the heat and humidity build for the strongest and windiest time of the year. Phi Phi ferries run all year but the westerly wind means that Phuket to Phi Phi is a far more comfortable journey than the Phi Phi to Phuket return. July and August has a brief spell of great weather as the monsoon rains push north towards the Himalaya and then return for September. This window is a superb time to visit Phi Phi as all accommodation is about 40% cheaper than in high season. On top of this the resorts offer Phi Phi Hotel Deals during this period giving Free Night Specials, Fixed Night Promotions, Special Discounts, Early Bird Offers Honeymoon offers. This can give savings of 70% over peak and high season prices. The Phi Phi September weather is a repeat of the June monsoon but in reverse but Phi Phi stays busy as it prepares for a new cycle as high season fast approaches.